Home 2019 General Elections Will the Poor Benefit from the NYAY Scheme? Will the Poor Benefit from the NYAY Scheme? “The 20% poorest of poor families would get Rs 72,000 directly transferred in their accounts. This is the final assault on poverty,” Rahul said. 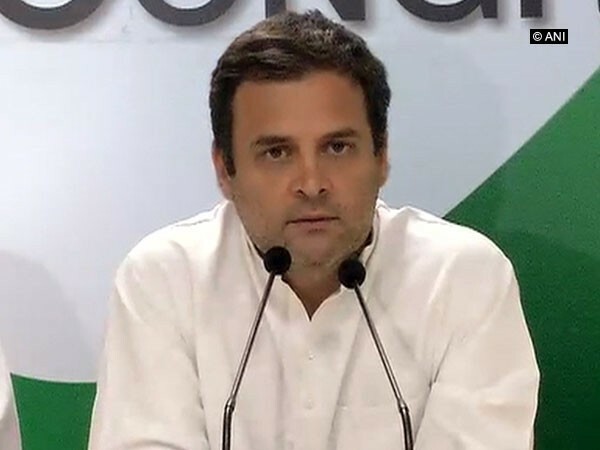 Congress president Rahul Gandhi, on Monday, announced that the party would guarantee an income of 72,000 for 50 million of India’s poorest families. Introducing his party’s campaign promise worth 3.6 lakh crore of the minimum income guarantee scheme, called Nyuntam Aay Yojana (NYAY), Rahul said the larger idea is to ensure that the basic income of every poor family in India does not fall below Rs 12,000 a month. After the declaration of schemes by Rahul, Union finance minister Arun Jaitley said in a blog that the announcement reflected the failure of previous Congress and Congress-led governments, including those of Indira Gandhi, Rajiv Gandhi, and Manmohan Singh. He also said that the total amount promised by the Congress (Rs. 72,000 / year) is just around two-thirds of what the NDA offered the poor. The name Nyay of the scheme was suggested by party general secretary Priyanka Gandhi Vadra, at the Congress Working Committee meeting at Ahmedabad on March 12. “Nyay” is an acronym for ‘Nyuntam Aay Yojana’ which is a minimum income scheme. Meanwhile, BJP dismissed Rahul’s announcement as a mere gimmick. According to reports, BJP’s official sources said Congress had borrowed the idea from the Economic Survey of 2016-17. But, none of the party leaders has officially responded on this. But, social media welcomed whole-heartedly Rahul’s prime move before the election. It has been taken as the topic of discussion on social media platforms. There were questions on its feasibility and logic. Some said the scheme doesn’t fit in the budget and will result in inflation. Others said believing in Minimum Income Guarantee is much better than believing in the Rs 15 lakh Narendra Modi promised. Though there are criticisms against the scheme, many were happy that there is at least a consideration for the basic income.